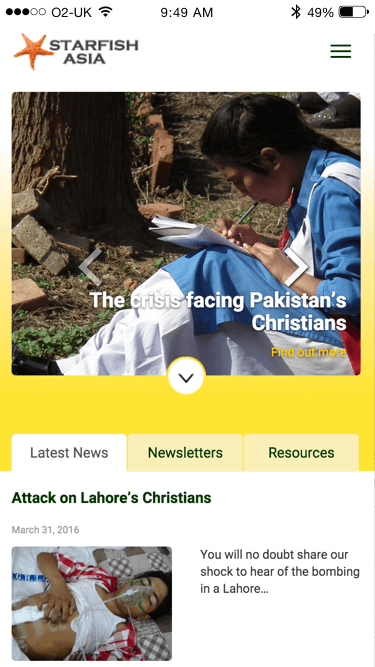 Starfish Asia supports schools and homes for disadvantaged children in Pakistan. Their projects are run independently by trusted local people who have a vision to bring about change in their communities. With the focus firmly on education, Starfish believe communities will be strengthened sufficiently to eventually enable them to support themselves, giving them hope and a future. 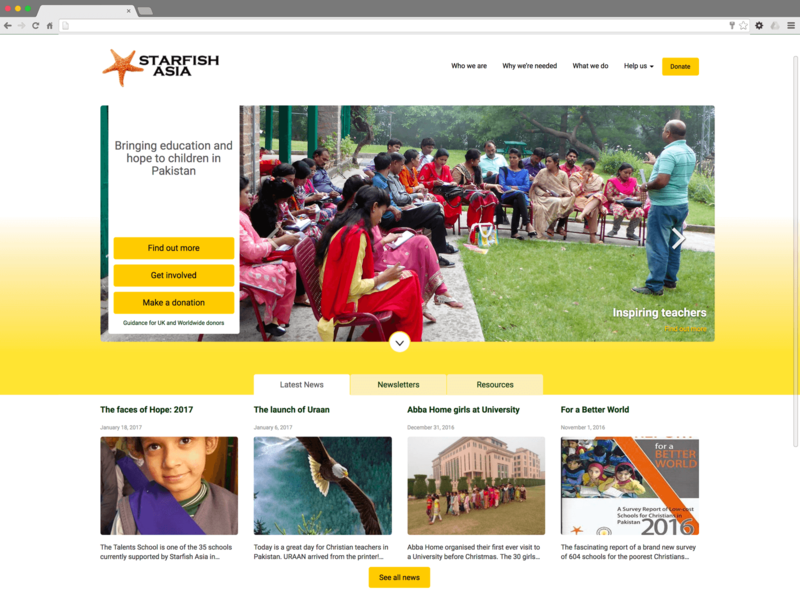 The website was designed to bring a sense of coherence and professionalism to the Starfish Asia brand, and ultimately increase donations. 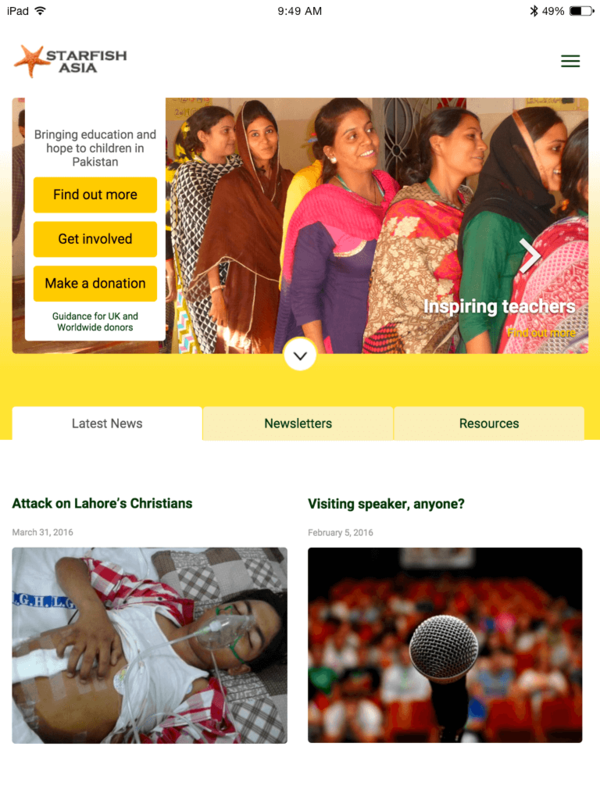 The site is built as a bespoke WordPress theme and includes a wealth of information about the charity, as well well as a range of downloadable resources, and an online donation system. The trustees are able to keep the site up to date with fresh content via the easy-to-use WordPress dashboard, ensuring that the site is vibrant and always has something new for visitors to see.